Afghanistan's Chief of Executive, Dr. Abdullah Abdullah, talks during a press conference in Kabul, Afghanistan, Tuesday, Aug. 22, 2017. President Donald Trump's warning to Pakistan to put an "immediate" end to harbouring militants operating in Afghanistan didn't spell out the consequences of defiance or suggest a new strategy to get it to yield to longstanding U.S. demands, analysts said Tuesday. They also said that isolating Pakistan could unsettle the U.S. relationship with Islamabad and push it closer to Russia, China and Iran, further complicating efforts to stabilize the region. "The idea of U.S. leverage in Pakistan is deeply exaggerated," Michael Kugelman, deputy director of the U.S.-based Wilson Center's Asia Program, said in an email to The Associated Press. "No matter the punishment, policy, or inducement, there's little reason to believe that Pakistan will change its ways. "Pakistan has an unshakeable strategic interest in maintaining ties to militant groups like the Taliban because they help keep Pakistan's Indian enemy at bay in Afghanistan," he added. 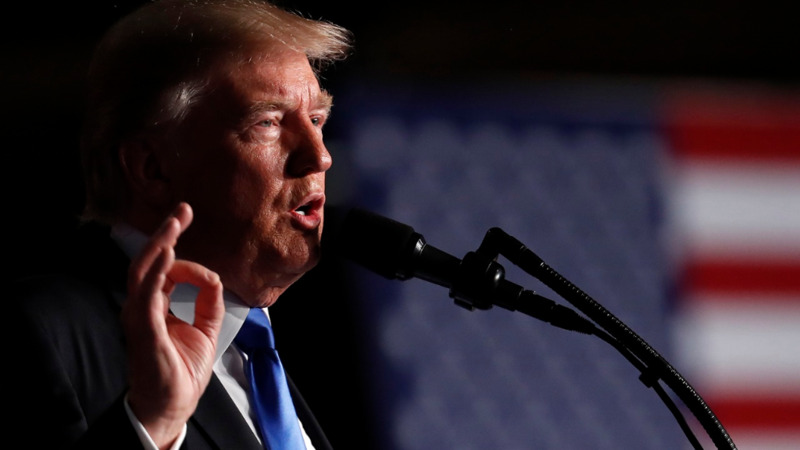 In a speech Monday night on his plan for the 16-year war in Afghanistan, Trump warned of the threat to U.S. security from militant groups operating there and in neighboring Pakistan. "Today, 20 U.S.-designated foreign terrorist organizations are active in Afghanistan and Pakistan — the highest concentration in any region anywhere in the world," he said. "For its part, Pakistan often gives safe haven to agents of chaos, violence and terror." The threat is compounded by the fact that both India and Pakistan are nuclear powers, he said, and their hostile relationship could spiral out of control. "And that could happen," Trump said. Some in Pakistan were baffled by his later statement demanding that India get more involved in Afghanistan, a scenario dreaded by Islamabad and the reason cited most often for Pakistan's support of the Taliban as a bulwark against India's influence in Afghanistan. "Upgrading the Indian role in Afghanistan basically means perpetuating the hostilities," said Imtiaz Gul, executive director of the Islamabad-based Center for Research and Security Studies. Pakistani Interior Minister Ahsan Iqbal told reporters that his country "has rendered unmatched sacrifices in the war on terror. Our war against terrorism is not because of the United States; we will continue this war." U.S. Ambassador to Pakistan David Hale met Tuesday with Foreign Minister Khawaja Muhammad Asif, according to a government statement, which also announced a meeting with U.S. Secretary of State Rex Tillerson "in the next few days" in Washington. The U.S. policy toward Afghanistan and South Asia will feature prominently in their meeting, it said. While Trump's speech was widely criticized in Pakistan by politicians of all parties, it was welcomed by Afghanistan's shared leadership of President Ashraf Ghani and Chief Executive Abdullah Abdullah. 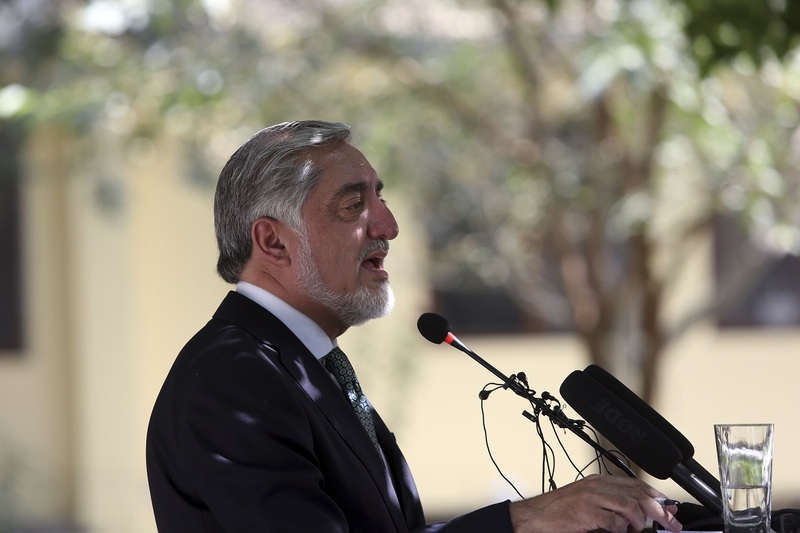 Abdullah told a news conference the U.S. strategy marks a unique opportunity to ultimately achieve peaceful objectives in the region. "The regional aspect of this strategy is very clear. It shows that the problem was very well identified," he said, referring to Trump's singling out of Pakistan. But security analyst Amir Rana, director of the Pakistan Institute of Peace Studies, warned that isolating Pakistan as the sole culprit could stymie efforts to stabilize the region or bring the Taliban to the negotiating table. It also could increase the influence of Russia, China and even Iran, he said. "All regional actors have to decide how to collaborate in Afghanistan," Rana said. "You can't signal out one nation. There is not only one nation destabilizing Afghanistan." The U.S. and Afghanistan have routinely accused Pakistan — and particularly its powerful intelligence agency, the ISI — of harboring insurgents and of waging a selective war. They say Pakistan attacks those insurgents it considers its enemy and allows those it has been known to use as proxies, either against India or Afghanistan, to flourish. Not all Afghans welcomed Trump's speech, with some angry that he wasn't interested in nation-building, only in "killing terrorists." Aziz Rahman, who works at a bank in Kabul, said Trump's speech will make little difference to ordinary Afghans. After 16 years of conflict and tens of thousands of U.S. and NATO troops in his homeland, Rahman said the situation has only deteriorated, with thousands of people fleeing. "Trump's speech is good for Americans, not for the poor people of Afghanistan," Rahman said. Waheed Muzhda, a political analyst in Kabul, expressed fear that Trump's emphasis on a military victory seemed guaranteed to prolong the war and increase casualties. "In the future, we will witness a worsening of the war, more killing and more problems for the Afghan nation," Muzhda said. "Mr. Trump only emphasized winning the war militarily, but if a military solution to the war could have been possible, this should have been achieved with presence of 150,000 troops." In a statement emailed to the media, Taliban spokesman Zabihullah Mujahid said Trump's strategy to remain in Afghanistan will mean more deaths of U.S. troops. The insurgents are willing to fight until all NATO and U.S. troops have left, he said. The Wilson Center's Kugelman said he didn't believe the Taliban "will exactly be shaking in their boots after this speech." "They know that they survived, with flying colors, a U.S. troop surge that at its height exceeded 100,000 troops," he said. "So for them, the idea of a modest troop increase, coupled with tough talk about the U.S. winning, won't really faze them at all."